15 days to Belgium, fast!! 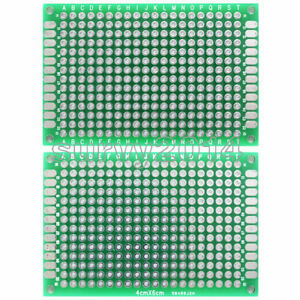 Great DIY PCBs. Super seller, will buy again! Really pleased with the quality of these boards. No distortion, and through plated holes. Much nicer than the single sided etched stuff. Will be back for more. Отличные по качеству макетные платы.